Purchase online CH376S USB Read Write chip in India at low cost from DNA Technology, Nashik. 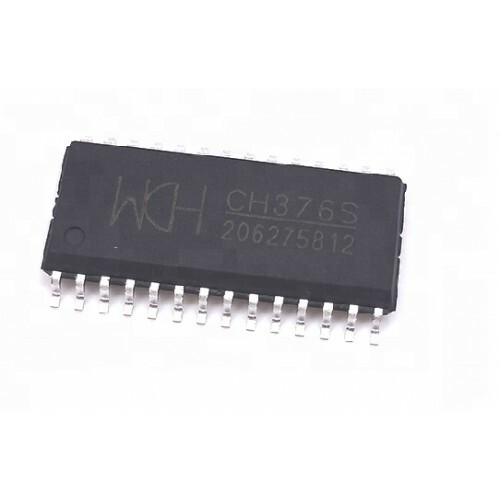 CH376 is used as file manage control chip, used to MCU system read/write file in USB Flash Drive or SD card. CH376 supports USB-Device Mode and USB-HOST Mode. Set the basic firmware of USB communication protocol in the inner. It is also set firmware of special communication protocol to deal with Mass-Storage devices, communication interface firmware of SD card, FAT16, FAT32 and FAT12 file system manage firmware in the inner. It supports common USB storage devices (contains USB Flash Drive/USB hard disk/USB Flash memory/USB read card) and SD cards (contain SD card with standard capacity and HC-SD card with high capacity, MMC card and TF card compatible with protocol). 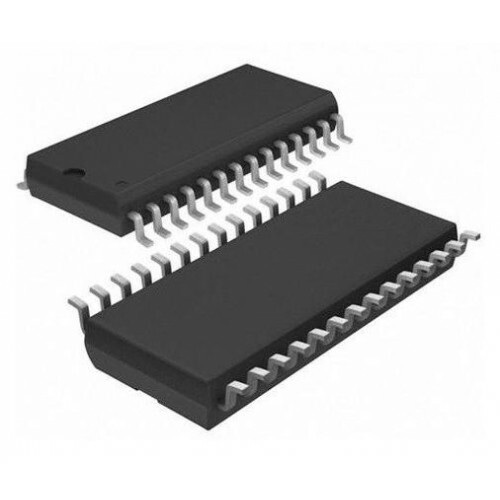 CH376 supports three communication interfaces: 8-bit parallel, SPI interface or asynchronism serial interface. DSP/MCU/MPU etc. controller via the any interface of them to control CH376 chip, storage and get file in USB Flash Drive or SD card, or communication with computer. The USB-DEVICE Mode of CH376 is totally compatible with CH372, the USB-HOST Mode of CH375 is basically compatible with CH375. Supply SPI host interface with 6MHz, supports SD card, MMC card and TF card which compatible with protocol. set protocol manager of USB control transfer in the inner to simplify common control transfer. Set up firmware of special communication protocol to do with Mass-storage. Supports Bulk-Only transfer protocol and USB storage device of SCSI, UFI, RBC and other equivalent storage device which accommodates the minimum set of command including USB Flash Drive, USB HD, USB flash memory and USB reader. Supply file read/write function: read/write file in the much long sub-catalog take byte as unit or fan as unit. Supply disk manage function: initialize disk, query physical capacity, query spare space, physical sectors read/write. Supply asynchronism serial interface up to 3Mbps speed, support serial interface connect to MCU, support automatically adjust communication baud-rate. Source power is 5 Volt or 3.3 Volt, and low-power mode is supported. USB-DEVICE Mode is totally compatible with CH372 chip, USB-HOST Mode is basically compatible with CH375 chip. CH376 USB Host Interface ModuleCH376 is used as file manage control chip, used to MCU system read/wr..
CH375 USB ModuleCH375 USB Interface Read Write Module is a USB bus universal interface module, that ..